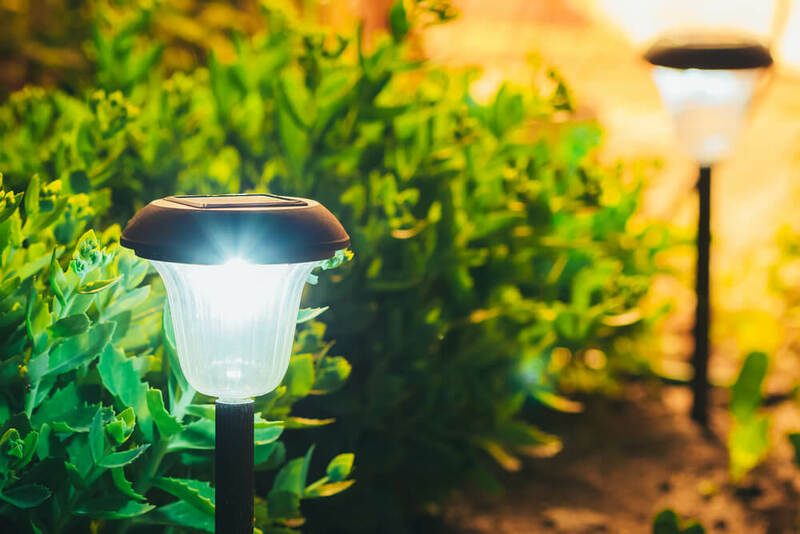 If you’re thinking about purchasing solar lights for your backyard, patio, or garden, there’s plenty of components you need to consider before landing on your final selection. From lights featuring LED technology to the newest models with photovoltaic cells as a power source, you need to make sure you select the best solar light that is durable and will stand the test of time. We took matters into our own hands, did the research, and narrowed the vast solar light offerings on the market down to a list of the top products available. For the best solar lights you can purchase today to a thorough buying guide just for you, keep scrolling. The first best solar light selection on our list are these Solar Light Torches by TomCare. They not only have a long lasting, rechargeable battery with a 2,200mAH capacity, but are aesthetically pleasing as a perfect decorative light for your landscaping or driveway. These beautiful solar torch lights by TomCare are an environmentally friendly alternative to live flames, with LED lights that offer a beautiful glow to any outdoor space. You won’t ever need to purchase standard batteries for the TomCare Solar Lights, as they run 100% on solar power alone. We really liked how these lights offer an extended working time of 12 hours with a powerful 2,200mAh capacity. Once fully charged, they provide light for 12 full hours. These solar lights take up to 8 hours to charge. We do wish the charge time was a bit shorter, as it bears mentioning that partially cloudy days with little to no sunlight could inhibit your solar lights from reaching their normal light capacity once nighttime rolls around. Even so, the solar torch’s built-in solar panels will offer as much as 10 hours of light in the summer months and about 5 hours in the winter time. In addition, the product’s working time is definitely longer when compared with other options on the market. We also appreciate the IP65 waterproof grade exterior of the lights that help protect them from the outdoor elements. The next product by Baxia Technology sport impressive features like motion sensors and 28 LED lighting, offering extra illumination. They also give up to 12 hours of lighting at night, to make you feel safe and secure after dark. These solar lights by Baxia Technology feature a special no-dim mode to enhance the longevity of your solar lights. What’s more, if they detect any motion within around 10 to 16 feet, they will switch on right away when it’s dark, helping you feel safe and secure when walking outside. The lights also sport an impressive 28 LEDs with a 120-degree motion angle to turn any darkly lit area into a fully illuminated one. We also appreciate that these lights include a lampshade, to extend the life of the LED lights. These solar lights take about 8 hours to charge with sufficient sunlight exposure, which is satisfactory compared to other products. They also have a water-resistant IP65 coating that makes them highly durable and secure. While other lights start working as soon as you install them in the path of sunlight, these do require initial activation with a key pin. Once installed, the lights should reach a full charge in 1 to 2 days. The Deluxe Pole Light by Deneve is the perfect choice to illuminate your entire yard with a single light. If you have a flag pole in your yard but are tired of your outdoor space getting too dark in the evenings, this one might be for you. One of the things we liked the most about this Deluxe Solar Flag Pole Light by Deneve is the fact that it is so easy to install with long lasting brightness. Of course, if you don’t have an in-ground flag pole, this product is not a viable option for you and you’ll be best suited to some of the other items on our list. If you do have an in-ground flag pole, this product is truly one of the best options on the market currently. With an impressive motion detection sensor and 20 LED bulbs, the solar panels contain extra photovoltaic cells that significantly extends the longevity of the overall product. One thing to note is that this product requires AA batteries, which are included in your initial purchase. You will probably need to recharge and/or replace the batteries at some point, but they do have a good shelf life for each cycle. Most flagpole lights require you to replace the entire solar light once the battery runs out, so the ability to simply switch out the battery for a new one is a huge plus. The Moonrays Solar LED Metal Path Light comes in a 2-pack, with LED lights that are are an astounding 25 times brighter than regular lights. The 360-degree lens display, and 120-degree beam angle make these an excellent choice for a powerful solar light. One of the first things we noticed about the Moonrays Richmond Solar LED Metal Path Light is that it comes in a handy two-pack, with an impressive AA NICd battery. Following installation, the light will gather its charge from the sun to brighten your outdoor space during the nighttime. The rubbed bronze finish is an extra special touch that offers a pleasing aesthetic to any outdoor area. The product also has a 1-year warranty to cover you in the unlikely event of malfunction during that initial period following your purchase. 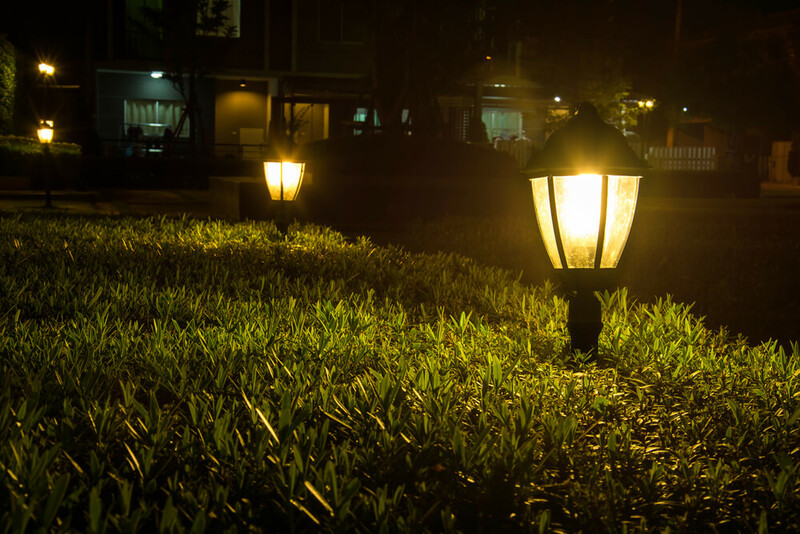 Another great thing these solar lights have going for them is their lightweight configuration, with small dimensions that are easily detectable and blend in nicely with any style of landscaping. We also appreciated how these come with rechargeable batteries, so you won’t have to replace the whole unit if one battery runs through its shelf life. These lights are extremely bright, even more than some other products on the market. However, if you are looking for steady illumination in the dark nighttime hours, this could be an excellent choice for you. The set of 4 solar lights by Plow and Hearth sport 6 luminous LED lights to brighten even the darkest outdoor area. The aluminum exterior of these lights also make them very resistant to the elements, wear, and tear. o, these lights are around 10 times brighter than most other solar lights on the market. If your yard area is very dark at night and you are looking for a product with enhanced brightness, this product could be the ideal fit. We also really liked the fact that the top cap and body are manufactured from die cast aluminum. When picking solar lights, you need to make the sure the product is resistant to the elements as it will face everything from heat to cold to rain to corroding soil. The good news is, the die cast aluminum and stainless-steel exterior make these an excellent choice to bear up against the majority of tough weather conditions, so they are a highly durable option. What’s more, each light features a large solar panel to transmit sunlight and charge up during the day. Once fully charged, you’ll receive about 8 hours of light for your outdoor space. The light time is shorter when compared to other products that have between 10 and 12 hours of light. However, the 50 lumens output and 23-inch installation height make these lights a veritable force to be reckoned with. These lights by Cinoton feature an astounding 96 LED light capacity with a water and weatherproof exterior that makes them the ideal choice for just about any outdoor area. The best solar lights by Cinoton give the appearance of real flames, with a luminous bulb sporting an incredible 96 LEDs of energy. The beautiful warm yellow lighting of this product complements any outdoor space with ease. We liked that this lights includes a daylight sensor with an automatic on and off switch to power the product up when it gets dark outside. The light charges all day in the sun, with a total of 8 hours charge time to reach full capacity. Another fantastic aspect of the Cinoton Solar Light is the fact that there is no wiring involved. Installation is a breeze, since all you have to do is install the flame lights in the area of your choosing. From the garden to the pool area to your patio or lining your fence, these solar lights work well in any outdoor space you select. The battery itself also has an extended shelf life with a 2,200mAh capacity. You won’t get as much light from these in the colder winter months, but you can expect up to 10 hours of continuous light in the summer which is pretty impressive. We also liked the durable IP65 exterior that is water resistant and wards off wear and tear from the outdoor elements. The first thing you need to consider is where you are going to put your solar lights to ensure they reach a sufficient charge and light up your preferred area after dark. If you don’t have a particular area around your house that receives direct sunlight, that doesn’t mean you can’t enjoy the beauty of solar lights. You might want to purchase an additional remote photovoltaic panel to keep on your roof or a sunnier region near your house, which you can wire to the solar lights installed in a more shady part of your yard. Even without an extra photovoltaic panel, you can still enjoy solar lighting. Just know that the lights won’t be as luminous as they otherwise would be without direct sun or a remote panel. Next, you need to consider the type of solar light you intend to purchase. For instance, you can purchase small solar lights with stakes to insert in the ground, decorative solar lights like lanterns, or solar spotlights. The choice is ultimately up to you and your needs. Solar path lights tend to be less bright than electric ones, so you’ll need to use multiple to reach the right level of luminosity. Decorative solar lights have more aesthetic qualities, but are a bit less bright than solar path lights. Solar spotlights are the brightest selection available, so if your yard gets especially dark these could be an excellent option for you. One of the most obvious benefits of solar lights is that they are so environmentally friendly. They lower your carbon footprint and increase the use of renewable energy that is more sustainable long term. Additionally, solar energy is an endless source of lighting power. Provided you live in an area that receives at least a modicum of sun, you can channel that energy to light your solar device. Besides this, solar lights are low maintenance, so other than the occasional cleaning session or check-up, you won’t have to do much else with them. Solar lights operate based on a simple process. Photovoltaic cells charge the device’s batteries during the day by storing sunlight which illuminates the bulb after dark. Of course, since solar lights depend on the sun for energy, they need to be situated in a location that receives direct sunlight for at least 8 hours every day. The short answer is yes, solar lights can still charge when it’s cloudy outside. It is important to note, however, that while clouds still transmit sunlight, your panels will not receive the same level of energy they otherwise would. So, on a regular cloudy day, the power transmitting to your solar light drops by around half. Case in point, in the winter months when you have fewer hours of daylight and more clouds, your solar lights will run between 30 and 50% less than they do in the sunnier, warmer months. Absolutely! Because solar lights do not require electricity to operate, they are typically easier to fix in the event of an unexpected malfunction. If you find your lights aren’t working properly, first check the landscape area around the device. Plants may have grown in the way so they are blocking the solar panel or soil could have gathered on the light. You can also check the light to make sure it is completely “on”. Sometimes, solar lights cease to work properly because the panel gets dirty, blocking the proper flow of sunlight. You can simply use a damp cloth to clean off the panel. Pro tip! A clear coat of nail polish works wonders to refresh your solar panel and keep it from getting cloudy. Finally, you can also replace the battery on many solar panel devices. If you do a quick check of the solar light and nothing appears to be blocking the panel, you might need to switch out the old battery or batteries for new. As long as you use the same type of battery, you’re good to go. If you have a particularly dark yard and need a solar light with extra luminosity to meet your needs, we’d recommend picks like the Solar Light Torches by TomCare, Moonrays Solar LED Metal Path Light, or Cinoton Solar Light. Otherwise, any of the choices mentioned will serve as a beautiful option to brighten your outdoor space and make you feel extra safe and secure at night. Solar lights are a fantastic outdoor lighting option that you can purchase in an array of styles and features. No matter what your personal taste might be, there is most definitely a solar light to fit your lighting needs and aesthetic preferences.